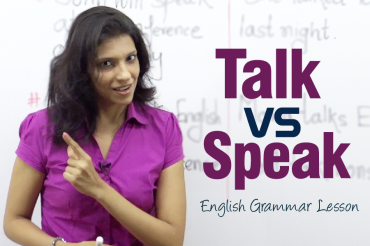 After watching so many of our free YouTube English grammar lessons, I am sure you know what prepositions are. In short it shows the relationship between the subject and the object. In conversation it is imperative to use prepositions correctly. A lot of students get confused with prepositions and make some common English grammar mistakes, because there many grammar rules with prepositions. So in this English Grammar lesson I am bringing you some of the common English Grammar mistakes made while using prepositions. 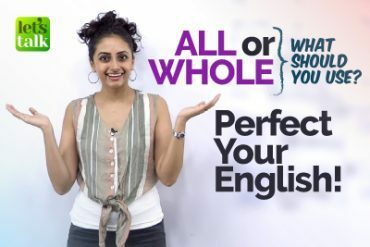 Watch the complete lesson to make sure if you are not making any of these English mistakes, and if you are it’s time to rectify and speak correct English. Hi friends, welcome to another lesson. Well I have a very basic lesson for you today but a lot of people get confused and yes we are talking about one of the most confusing areas in English and that is using prepositions. Now we know what prepositions are, right? They kind of establish a relationship between the subject and the object. So if I say the book is kept on the table, on becomes a preposition and it establishes a relationship between the subject and the object, right? But it is very important to understand, to use them correctly and I do know a lot of people get confused and I think it’s pretty common and it’s pretty natural because we have so many prepositions and then there are exceptions, there are rules. So in today’s class what I thought is, I thought of taking up you know common mistakes people make using certain prepositions with some expressions. Okay, so let’s get started. Now, my first example here is, we arrived late at John’s house. Now, I’m talking about the expression arrived. Okay, so a lot of people don’t know whether we should say, we arrived late in John’s house, to John’s house, okay. Or if I tell you, I will meet you at the cafe, in the cafe. Yeah so it’s a little confusing. I’ll tell you what, when you arrive or when you go to a specific place, so it’s a house, it could be a cafe, it could be a restaurant, It could be school, okay you always use arrived at. Okay, so arrived at the airport. I arrived at the cafe at 9 o’clock. So a particular place arrived at but when you talk about a country or a city, it is always arrived in. Like this; so on Friday, the President arrived in Russia. So a bigger place, a country, a city, okay arrived in. I cannot say, arrived at. This is absolutely incorrect. So when you talk about arriving in a country or a city, you use arrived in. So in is the correct preposition. A lot of people make the common mistake of using at, okay. So remember you arrive at a cafe, at a restaurant or at someone’s place, at the doctor’s clinic but when you arrive, you talk about a country or a city, it’s arrived in, fine. Let’s move on to the next one. We often go out at night. One of the most common errors people say. Okay like I’m a party animal. I like to go out in the night. Now in the night, is an incorrect expression. You cannot use in, okay this is absolutely incorrect. Yes, I wake up early in the morning. I have my lunch in the afternoon. I go for a jog in the evening but I sleep early at night. So when you talk about night, it’s always at and not in, okay. Please remember this. So yes, in the morning, in the afternoon, in the evening but at night. Yes friends so morning, afternoon, evening, you use in but for night, use at. Okay, I’m sure this much is clear. Let’s move on. I live, work, study in Singapore. Now when you talk about living in a country, working in a particular country or a city or you’re studying in a country or a city, again the correct preposition is in. You cannot say I live at Singapore, incorrect. I study at Singapore, incorrect. I work at Singapore, incorrect. So where do you live? I live in Singapore. So I ask another friend, where do you work? So she says, okay well, I’m from Singapore but I’m working in London. So working in a particular city. I study in Amsterdam. So work, study or live in a country, in a city. The correct preposition to use is, in, not at, clear? Let’s move on to the next, I work at or for? Now, remember again a very common confusion when people don’t know whether, like which is the correct preposition to be used. So when you talk about work for an organization, you say work at, Toyota or I work for, both are correct. Now, of, in, incorrect. Yes, when you talk about rendering your services to a particular organization, please use at or for. So this is something very common that I’ve heard say, I work in this place, I work in this company, I work for, I work at. Please remember this. Now the next one, it depends. Okay so it depends on a particular situation. Now supposing we are contemplating which restaurant to go to, I’ll tell you, it depends on what you want to eat, Chinese or continental. It depends on, okay. So what are you doing this weekend? I don’t know, it just depends on my mood. Now, a lot of people wrongly use of. It depends of my mood. It depends of what you want, no. It depends on, remember the preposition that follows it depends, is always on. So it depends on something, okay. Say it depends on your mood, it depends on whether you’re hungry or not. It depends on what you want to do. Okay so if you’re taking up a new job offer, you could say, I’m still considering the offer, it depends on the perks the company offers. So again, it depends on. I hope this is clear to you. The next one, okay so you have a friend coming home and you wanna welcome her. You don’t say, welcome in my house. You say welcome to. So you have, hey welcome to my house or welcome to the new club or welcome to your country. So, welcome to Peru. Okay, not welcome in. This is not acceptable and it’s completely incorrect. So remember welcome to, right? Well, the next one, the preposition used with married. Now he is married to Robert. Okay so if I say he is married to Robert, married to. The most common mistake people make is, they say he is married with. You are not married with someone, you are married to someone. Okay, or you are getting married to someone. So, the correct preposition that you need to use is, to and not with. But if you say he is marrying, okay, if I say, he is marrying , okay, I’m using marrying as an expression, I cannot say, he is marrying to Mary. I say he is marrying Mary, no to. He is married to, he is getting married to, with married. He is marrying Mary, no to, no preposition required. Please remember this. It is absolutely important, okay. So he is marrying someone, you marry someone. You don’t marry to someone but you’re getting married to someone or you are married to someone. Okay, now the next one is, it is my birthday in December. Not on December, not at December. Okay, so or I was born in the year, 2000, okay. So in for month and year. Okay so I will see you in the month of January. Okay I was born in 2000. No on and no at, absolutely incorrect. Fine so use in for month and year and for day and date, you use on, like this. I have a meeting on Monday, not at Monday, not in Monday, okay. So I have a meeting on Monday, okay or I will see you on 10th august, okay. So for a particular date or a particular day, you use on. Okay friends, so basically these are the common errors people make and they often get confused and this is how you go about. I hope this lesson is clear to you and well this brings me to the end of this lesson. I hope you enjoyed watching this lesson. I’ll be back soon with a new lesson, till then take care and bye.